To Sang Hyun, buying clothes for his wife is nothing special. He thought all husbands are doing that. He never thought that one cannot wear pretty clothes when bringing up the kids. But when he looks at his wife’s maternity clothes, it’s a bit upsetting. He cannot imagine buying clothes that does not fit well as the body changes. If you’re going to look like that, you’ll be upset. Whenever he goes to Japan for his performance, he will only buy clothes for his wife. If there are pretty clothes, he would usually buy them. Though that’s the only thing he can do, it helps to change the mood. He only knew that his wife had worked as a radio DJ. Sometimes when his wife receives a call, he would wonder who’s on the line. The calls were from the composers. From what he had overheard from a conversation, she was offered work of a DJ but turned it down because of childcare. Sometimes when his wife and kids are asleep, he would listen to her radio broadcasts. She’s really good at it. As he is in acting, she is doing well as a radio DJ. But she has made a sacrifice for the sake of their family and rejected the job offer. She did not even mentioned it to him because she did not want him to feel burdened. He makes his wife laugh everyday and is a dad who dances and have fun at home with the children. Since they like being at home more than playing outside, they did not go to the kindergarten at first. When asked if he would like to be alone at times, he said no. Even when going on a trip, he would like to go together with the children. Sang Hyun says he’s always nagging and would nag about the house work. His wife is logical and he’s just raising her (laughs). Married for 5 years but there’s no difference as a husband. It is his duty to protect the family until his dying day. 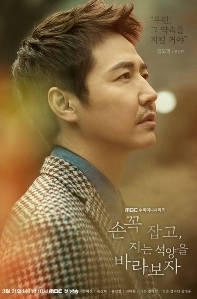 Sang Hyun is 50 now but of course he can still do melodramas (laughs). Since becoming a dad, all he got were fatherly roles. 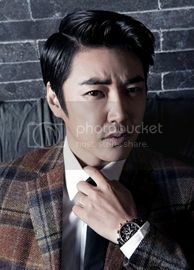 Sang Hyun acts as Ra Mi Ran’s husband in ‘Girl Cops’. It’s a pathetic role. After filming has ended, he would have one drink before going home. He remembers what Ra Mi Ran said when he went home early every day. He does not have a lot of dialogue in the movie. Falling & breaking things, he is doing slapstick comedy by himself. He seems to be returning to comedy these days. Sang Hyun likes comedy very much. It must have been the broad spectrum of actors. The PD keeps asking for strange things (laughs). 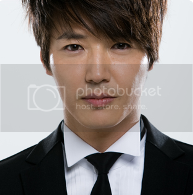 He has played many comic roles in dramas and has tried to do something serious in movies. People laugh when they see him. He has liked Stephen Chow ever since he was a kid and have watched more comical than serious movies. When Sang Hyun receives a script, he would feel like reading only 3 pages of it. As his wife is more detailed, she would read all 3 books and tell him her evaluation. Lately he does not read the scripts when they come in but pass it to his wife first. If she tells him to read it, he knows it’s a good script. If she tells him to just take a look, then it’s not. 1) What was it during the dating process that convinced him to get married? When Sang Hyun and Maybee first met, she was rather quiet and did not talk or eat much. He had thought to himself that if they cannot communicate and she does not respond to him, then he will not meet her again. It was on their third date that she began to open up to him. He had ordered expensive beef that day. Exclaiming that she has never tasted such expensive beef, she laughed and said that it’s really delicious. She then started talking about music and her family history. They discovered they have a lot in common and like similar things such as rainy days. They had a really long conversation that night which lasted until around 5am. Just within a single day, he had learnt everything about her. He could see that she is sincere and she has such a beautiful smile. Maybee is the type who does not like to impose on others so she would not ask for favours. When they got married, he wanted to do more for her. So before she says anything, he would do it for her first. 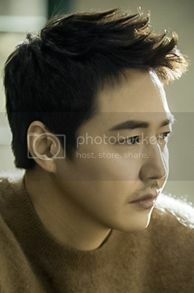 Sang Hyun is easy-going while Maybee is more meticulous. They would end up bickering when going out. He would get angry and tell her to hurry up. Though Sang Hyun is in this line of work, he has never thought of living a luxurious life. His wish is to get married and have a beautiful family. It is good to have a lot of projects but his bigger dream is to build up a good family. When he was living alone, he did not like to go home. Now he prefers to stay home because he’s really happy to see the children. Sang Hyun does not go out often. He never went out for drinks after they got married but he doesn’t feel restricted. He used to enjoy going out for drinks when he was living alone but now that he has a wife, it’s different. He has kids at home so he does not go out anymore. Sang Hyun wants to show the reality of their usual daily routine and not just put up an act for the broadcast. There is no directing. When Maybee decided to appear on ‘You Are My Destiny, they considered whether to have their hair and makeup done at the shop. But then they decided to just show everything as it is. The agency staff who came to watch the first broadcast was very happy with the authenticity of the shots. Sang Hyun did not want it to be an act. Others around them had advised them to hire a helper to look after the kids. But Sang Hyun feels it would not take very long for the children to grow up and he wants to be around to see their pretty faces. He has a lot of respect for his wife. She stays strong even when her body is aching. She has sacrificed so much so he has to do better. Sang Hyun and Maybee both share a similar childhood experience. His parents were too busy working and did not spend much time with him. So he does not have many memories of them doing things together. It is the same for Maybee so she puts in a lot of love and sacrifice for the children. They both want to make memories with their kids. 9) Would it be hard on him if his daughter brings back a boyfriend? Sang Hyun doesn’t think so. If there’s someone she likes, she should show him (laughs). His eldest daughter has no interest in the boys in kindergarten. Rather than going there to meet friends, she prefers to concentrate on doing things on her own. She resembles him in this aspect …. when he has something in mind, he has to do it. 10) The children’s career when they grow up. Sang Hyun says he will support them in whatever they choose to do. During his younger days, he was interested in art and music but his dad wanted him to take up engineering. They had a lot of fights over this. When he was a child, he would join arts competition and win many awards.. His music teacher had also encouraged him to sing. His dad did not like him to do painting or music. So he will respect whatever his children might want to do. He does not want to influence them by saying that singers and actors make a lot of money or they need to be in Medicine to be a doctor. Once they reach 20 years old, their life is their own. He does not want them to go through what he did, being told what he should do. Sang Hyun has talked a lot with Maybee on how they should raise the kids in future. After the kids are in bed, they would spend most of the time talking about this. They want to leave many good memories for their children. Sang Hyun’s reason for appearing on the show is because of Maybee. He wants to focus on her, to show that he is proud of her for bringing up the kids so well and for being a good home maker. When he talks to her during the broadcast, it feels like a form of sharing. If not because of the show, they would not have time to talk so he’s now making time to talk to her. He’s also using SNS for his wife. He wants to say “This is how I respect my wife”. Though it might seem like she does not have problems, she had struggled through a lot since young. After they got married, she shared with him everything she had gone through. After listening to her story, his one thought is that he has to protect her. He will protect her until his dying day. From a recent interview related to Sang Hyun’s appearance on the variety show ‘You Are My Destiny’. The amount Sang Hyun drinks would depend on the condition. If it’s good, he can drink two and a half bottles of Soju. If it’s bad, then it’s just 3 glasses. If he gets drunk, he would go to sleep. He thought he could sneak away if he gets drunk. During his younger days, he would drink until dinner ends. But now that he has a family, there is a sense of responsibility. He will head home if he thinks he’s getting drunk. At gatherings to celebrate the end of drama shooting, he would leave after the first round of drinks. He did not know marriage would change him in this way. 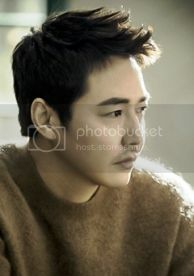 Before Sang Hyun got married, he used to have insomnia and does not remember ever sleeping before midnight. When doing a drama, there would be shooting at night. It was difficult to get back to normal when the drama ends and life is messed up when this cycle is repeated. After getting married and the kids came along, he goes to bed at 9 pm. Being in sync with the children’s schedule has improved his health. Early to bed and early to rise. Everyone says raising a child is difficult. Obviously there are tough and irritating areas but the children’s birth give the couple even more positive energy. So the difficulties are hardly felt. It could not be helped. Though Sang Hyun and Maybee like traveling, it was difficult when they have to look after the kids. They went to Gangneung before marriage and to Gyeongju for their honeymoon. Their third trip was to Hawaii for the wedding pictorial shoot. Gangneung is a city that holds a lot of memories with his parents. He likes Gyeongju because of the many memories with his friends. He had drama shooting a few days after the wedding so they could not go abroad. He has a lot of stories about his trip with Maybee but the memories of Gyeongju are very similar. He remembers having a very fun 3 days 2 nights. 5. When Sang Hyun got married, did he think he would become a father multiple times? No (laughs). Maybee’s body is not strong so they thought they would have just one child and bring him/her up well. Actually he would like to have 3 kids but gave up the idea because Maybee had a hard time with the birth of their first child. Unexpectedly the second one came along, and then another. Their elders said that they are blessed to have the kids and live an abundant life. It takes away the stress when you live with the thought that these are blessings that came to you. Should blessings come again in future, there’s nothing he can do (laughs). He really enjoys it. There’s difficulty taking care of the first child but there’s no difference with the second one. It’s the same whether it’s one child or two, and that goes for the third one as well. As you continue with childcare, you become accustomed to it. Now that he’s older, it is physically tougher but mentally he’s really happy. Sang Hyun has heard such talk many times from those around him so it makes him wonder. His son is still a baby so he’s not sure. His son is doing well up till now ….. does not cry much, laughing, playing and eating well. The first one is really feminine and caring, and shows leadership. The second one is very curious. The third one has a good appearance but it’s too early to talk about personality at this age. Sang Hyun is of the opinion that it’s only right for husbands to be doing this for their family. When it comes to housework, the men should be doing more of it than the women. He has been to Sweden where the men do all the housework. According to them, there’s nothing as difficult as women giving birth and men should take care of their wife and children. Going to Sweden has changed his perspective. His thinking had changed a lot when he got married. There’s a lot of hard work for the women once a child is born. It’s not easy to provide everything for the child. Though he is working, he feels that it is tougher for his wife than it is for him. Sang Hyun does more of the housework than his wife. A woman needs time to recover after giving birth. It is just common sense to him so he takes care of the housework when his wife gives birth. His wife also do simple housework. Unlike what was shown during the broadcast, he does not cook like a chef. He would cook miso soup and kimchi stew. Maybee wants to grow tomatoes. There’s a small garden plot next to their house to grow things they can eat. In fact someone has already planted something there so he will have to quickly explain the situation and start gardening. Sang Hyun and Maybee got married after dating for 2 months. According to him, it was really good to have decided so quickly to get married . Even now, there’s the feeling of being in love and it’s renewed every time he sees her. As you grow older, you immediately get the sense of who someone is upon meeting them. When he met her, he was certain they would live well if he married her. It was not a logical conviction but an intuition. It is difficult for him to explain in detail but he heard an inner voice telling him he should marry her. To be continued in part 2 …. Sang Hyun and Maybee finally sets out for Gangneung to attend his manager’s wedding. Though his mum and sister are there to look after the kids, the couple could not help feeling uneasy when Na On starting crying as they left the house. Fortunately she is placated by her dad’s promise to buy apples for her. While waiting for his turn to sing a congratulatory song for the wedding couple, they reminisce on their own wedding 5 years ago. Maybee suggests they retake their vows when their 25th wedding anniversary comes around. Agreeing, Sang Hyun thinks it would be meaningful to have it in Gyeongju where they had gone on their honeymoon. Sang Hyun is nervous as he’s down with a cold unfortunately. His song choice ‘Never Ending Story’ has a lot of high notes, would he be able to perform well in his condition? Instead of heading home, Sang Hyun drives to the beach where they had gone on her birthday 5 years ago. Maybee is surprised that he had even brought along the clothes they had worn that day. It is his wish for them to relive their special time together …. walking hand in hand along this beach, enjoying the seafood, singing their hearts out … that moment of certainty in wanting to spend the rest of his life with her. They revisit the same restaurant and order the same menu they had back then. They plan to come back again in another 5 years time so they should keep these clothes and not discard them. It is Sang Hyun’s dream to build their own home and go on overseas trips together. He believes the travel experiences would help make her a better lyricist. To his surprise, she tells him that her days as a lyricist are over. The sad emotion required for writing ballads elude her now as she is living a happy life with him and the kids. Time to check up on the kids. It’s a relief they are fine even if mum and dad are not around. Their next destination ….. the same ‘noraebang’ they had previously visited. Sang Hyun makes a request for Maybee to sing ‘Goodbye Valentine’. Watching her ‘funny’ moves in the video always amuses him.